Fantastic modern stable yard in Lledó, Matarraña. A lovely charming spot with 7 brand new modern stables in the highest quality, nothing has been saved in the materials used. 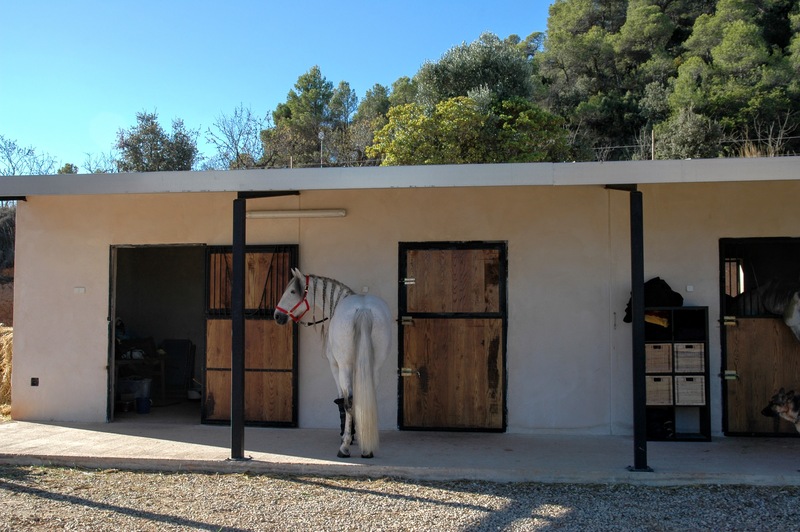 The stables are rendered in neutral colours so they blend in with nature as a natural part of the surroundings. There are Grooms quarters and an amazing modern Olympic sized arena, suitable for Dressage and Show Jumping. All on 35,000m2 of flat land. 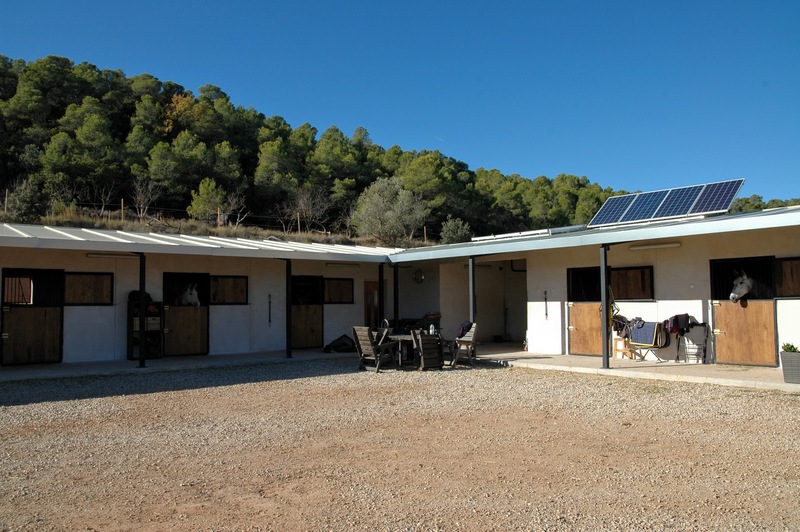 There is also a small apartment of approximately 25m2 fitted in to the stable buildings, it is fitted with a modern kitchen and bathroom with a shower; (Septic tank fitted) the materials used are also of the highest quality. 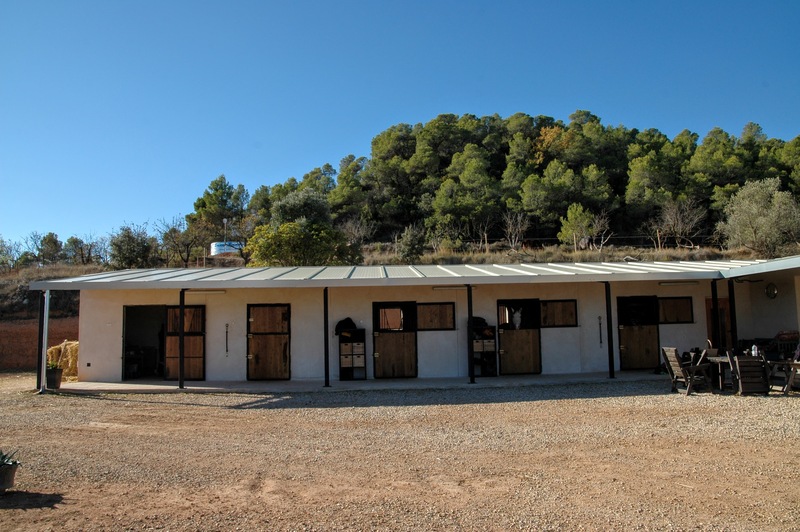 There are 7 stables in total each stable is 3.3m x 3.5m, spacious for large horses. 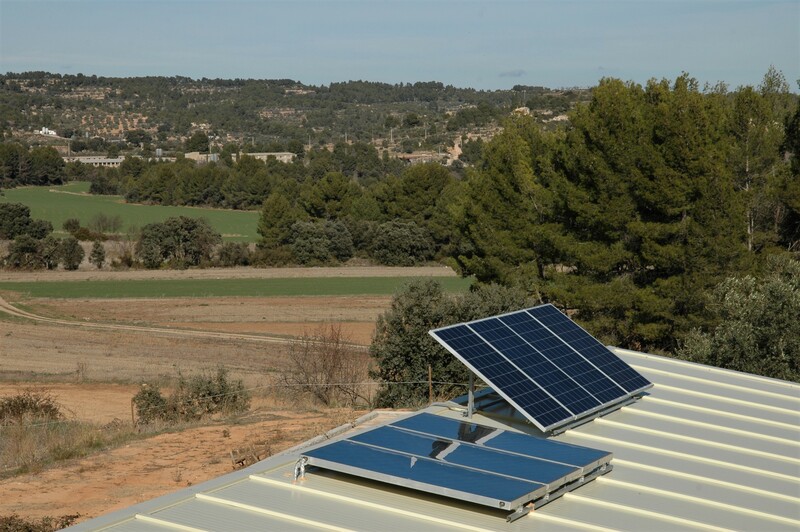 The electric and hot water to the kitchen, bathroom and horse showers and is provided by solar panels, the tank holds 150 liters. In the unlucky event of no sunshine for a couple of days there is also a petrol driven generator installed. To make the life easier there is a WIFI system installed and the property is also has a 24h security camera system. The water supplied is bought from a neighbour and pumped in to the big Tolmet cistern placed in the highest location on the property to provide natural water pressure. There are also fitted water out takes on the stable and prepared a water supply to the future planned coffee shop. There is a professionally built riding arena of 35m x 70m, this arena is built according to Olympic standards. This has three (3) layers of different gravel, between layer one (1) and layer two (2) there is a GEO-Textile layer, this is supported by an automatic watering system. 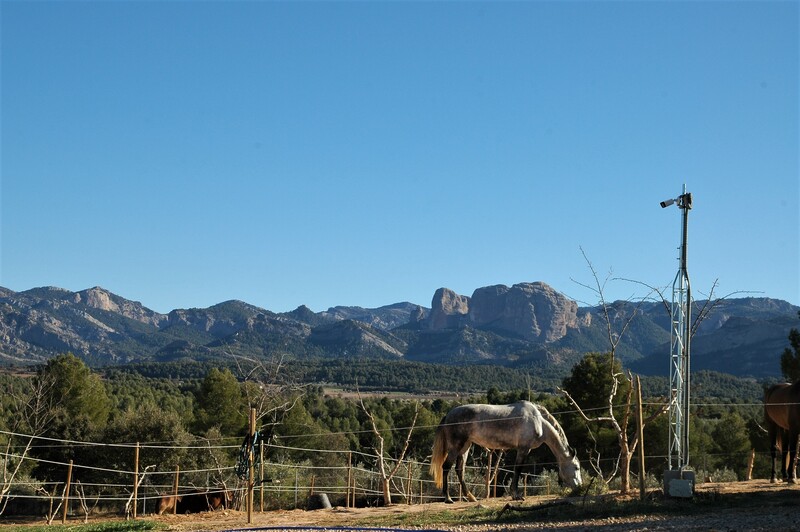 The property has about 5, 3 hectares of land, perfect for keeping horses and faces the Natural Park Els Ports de Beceit. 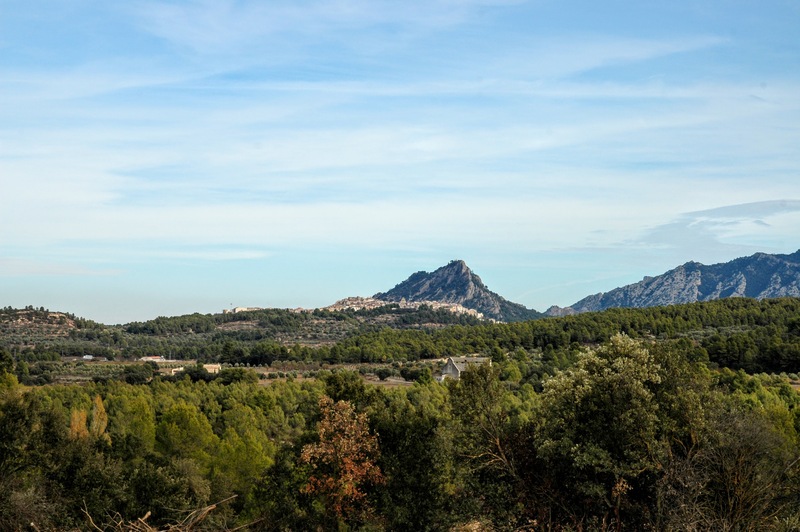 Where you can see “Les Roques de Benet” a group of impressive rocks that are placed in the middle of the flatland in the Natural Park. 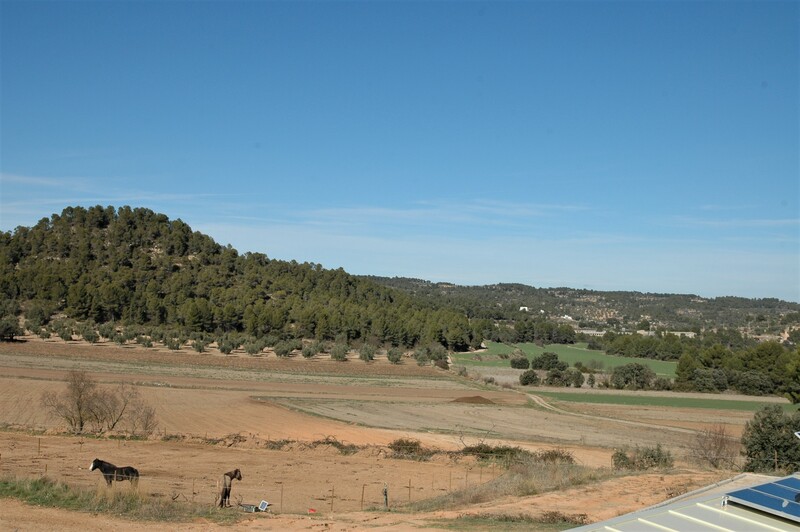 The property is suited right in the middle of Matarraña region called the Spanish Toscana. It has good access and is the last property on the road so no passing traffic. 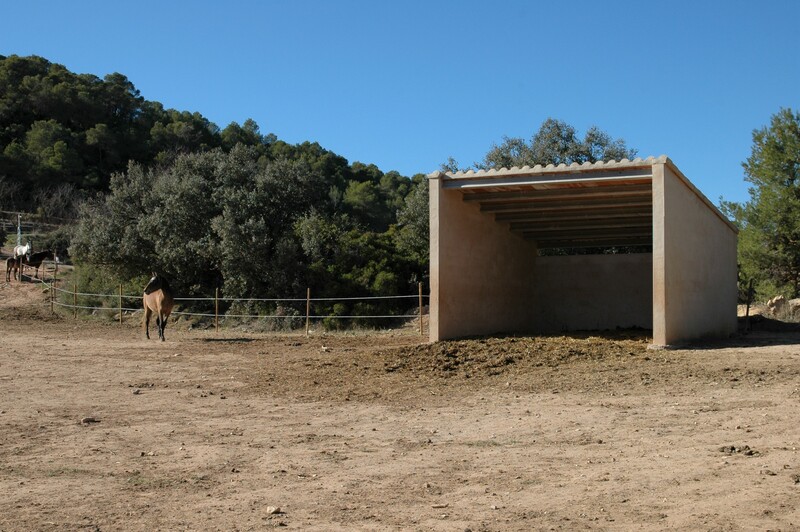 In one of the horse paddocks there are a newly built shelter and the land is partly fenced, one part with 2 meters high fence and the rest with electric. Bordering the property is the popular tourist attraction of Via Verde. 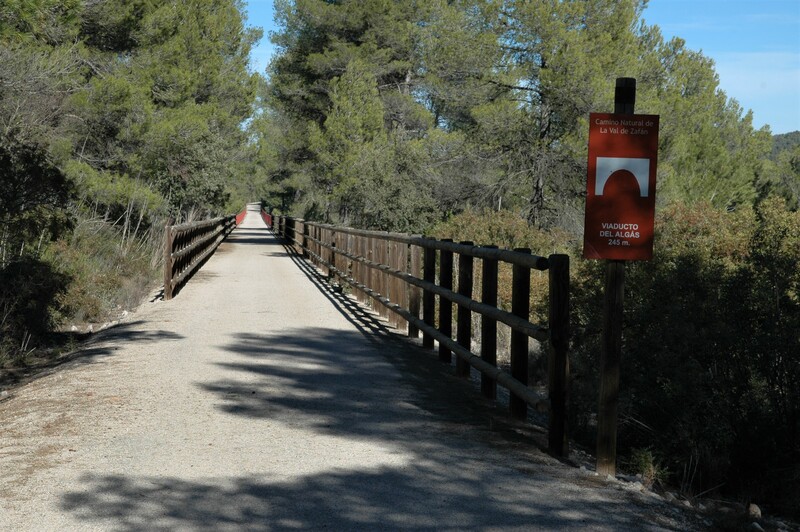 In Via Verde you can either horse ride, cycle or walk, no motor vehicles are allowed. 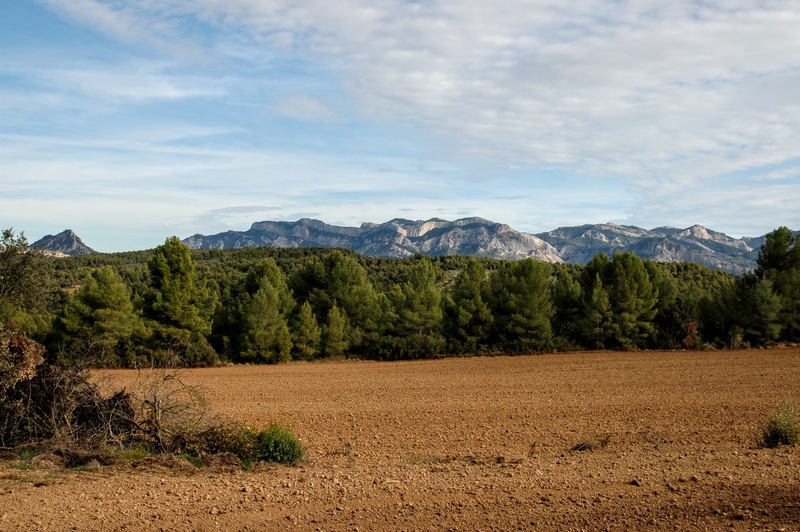 The property is legally built and will be sold with all legal documents. 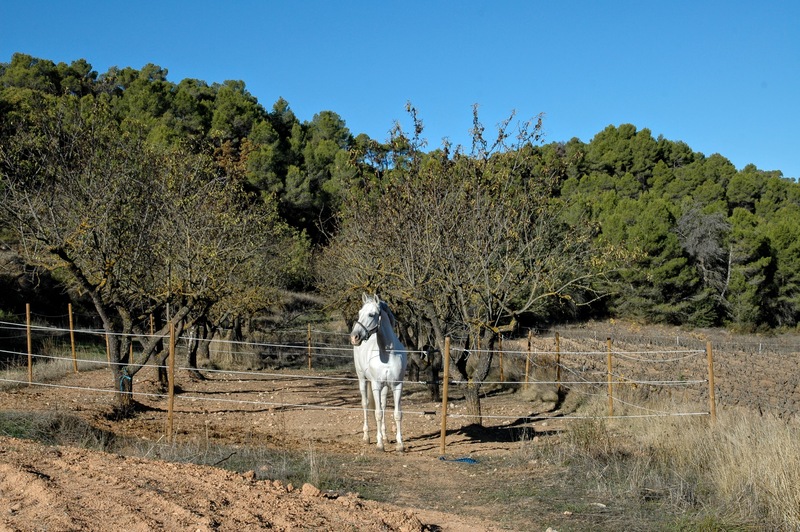 There is also an Activity License, (Licensia de Actividad), for 7 horses on the property. 2. 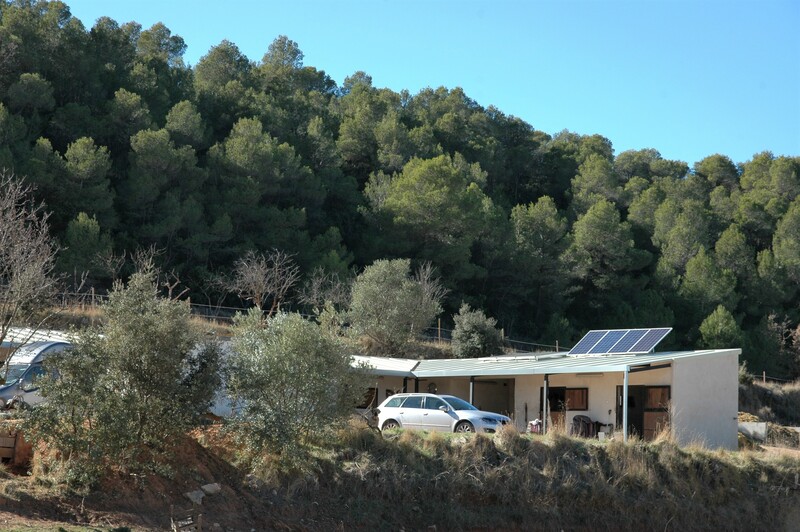 Monthly payment of the remaining 175.000€ plus 4% interest.